From the best-selling author of The No.1 Ladies' Detective Agency series comes a delightful and moving story that celebrates the healing powers of friendship and music. 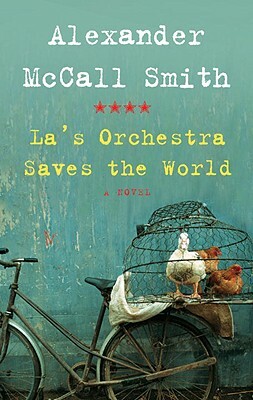 With his all-embracing empathy and his gentle sense of humor, Alexander McCall Smith makes of La's life—and love—a tale to enjoy and cherish. Alexander McCall Smith is the author of The No. 1 Ladies' Detective Agency series, the Isabel Dalhousie series, the Portuguese Irregular Vers series, and the 44 Scotland Street Series. He is professor emeritus of medical law at the University of Edinburgh and has served on many national and international bodies concerned with bioethics. He lives in Scotland. "Delightful . . . McCall Smith once again creates unforgettable characters and a story that will resonate with readers across generations . . . A fresh and unforgettable story about the power of human kindness. Highly recommended." "The evocation of war-torn England, with its palpable mood of defiance, determination and survival, is beautifully caught . . . An excellent recreation of a woman of her time." "Unlike anything else in McCall Smith's work." "Alexander McCall Smith writes about the enduring, patient qualities of love . . . The novel pays heed to our national yearning for a story to chew on." "A gentle and uplifting read."